Firemizer is registered under the UK Data Protection Act 1998 with number ZA097264. 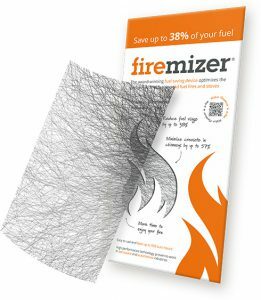 Firemizer is one of the trademarks owned by Microtex Products Limited. – helping Firemizer through analysis and assessment to better understand and develop our business, including new and innovative products and services. Firemizer may also pass your information to credit reference and fraud prevention agencies for the purpose of verifying your identity; these agencies may keep a record of that information. Communication between Firemizer and you may be by letter, phone, fax and/or e-mail or other electronic means. IMPORTANT: By registering with Firemizer and/or using this website you consent to Firemizer using your data in this way. When becoming a new customer online with Firemizer or purchasing goods on line we record your Internet IP address for our records for reference to any fraudulent payment transactions. Our websites new customer form requires users to give us contact information (like their name, email, postal address). Contact information from this form is used to supply information about the Firemizer group to you at a later date. Users automatically opt-in to receive future mailings from us via email and post. You can change these options within your profile at a later date under “my account”. This site gives users the following options for changing and modifying information previously provided once signed in, though the “my account” section. Web beacons are also sometimes referred to as ‘web bugs’ and are small single pixel transparent image files. They allow website owners to know when a visitor has reached their website, and are used in conjunction with cookies to allow further website tracking to be monitored. Again, these files are not viruses, but are useful in helping us to make your web surfing experience better. If you have any more questions, please do contact us and we’ll be happy to help. All customers who sign up for an account or makes a purchase online will automatically be included in our mailing list to be kept up to date on offers, promotions and company information. You can decide to opt out of this by clicking here or clicking on the unsubscribe button within any emails that you receive. Your credit/debit card details are not stored with us. Please note, we do not share any of your personal information with any third parties. Cookies are small files which are stored on your computer. These cookies are used to hold a small amount of data specific to you and the website you are browsing. These cookies are accessed either by the website you’re browsing or your computer. This allows the website to deliver a page tailored to you and enhance your shopping experience. These cookies are implemented in order to enable basic functionality around a website and the use of its features such as accessing secure areas of the website. These cookies collect information on how you visit and interact with the website. For example: The page you visit on a regular basis. These type of cookies do not collect any user or personal information. They are only used to improve how the websites works and its functionality. These cookies are used to identify you so that further related information can be looked up on a server-side database. For example the first time you visit a site you may choose a username which is stored in the cookie, and then provide data such as password, name, address, preferred font size, page layout, etc. – this information would all be stored on the database using the username as a key. Subsequently when you revisit the website the server will read the cookie to find your username, and then retrieve information from the database without it having to be re-entered. We would like to reiterate that these cookies are only used to improve the website functionality & experience. These cookies are used to deliver relevant adverts to you based on your online shopping habits & experience. They are also used to limit the number of times you see an advertisement. Re-marketing cookies also measure the effectiveness of advertising campaigns. These adverts are placed by advertising networks with the website operator’s permission. Quite often advertising cookies will be linked to site functionality provided by the other organisation. Setview Keeps user’s preference for the product information display page. These websites will set various cookies which are used to help us and our advertisers see which advertisements you click on and interact with. Each individual advertiser uses their own tracking cookies and the data taken is not confidential or interchangeable. Please be aware that restricting or blocking some cookies on firemizer.com may have an effect on the functionality of the website and the features within it. Please consult your documentation or online help files for specific website browsers as the method varies greatly. We’d like to continue to utilise re-marketing content that’s relevant to you; however, if you would like to opt out of this type of advertising permanently please follow this link. You can also opt-out via the icon displayed on the banner themselves. (See image opposite).